Why Gateway Teleport - Gateway Teleport Ltd. - Gateway Teleport Ltd.
Gateway Teleport Ltd. is a full service Satellite Earth Station facility providing our customers with Data, Video Uplink/Downlink services as well as complete Hosting packages. Together with our High-Speed Fibre connectivity we provide our customers with end-to-end connectivity solutions on both a satellite and terrestrial basis. Gateway Teleport offers a vast level of satellite experience and through our relationships with the major satellite operators, access to a wide range of frequency and coverage options. We also have extensive knowledge of the regulatory regimes in Australia, New Zealand and Pacific region for in country satellite operations. We maintain network neutrality which means our customers are not restricted to specific satellite operators or technologies. 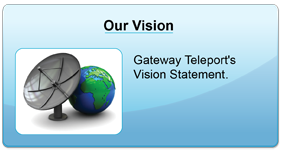 This allows Gateway Teleport to offer a much wider range of solutions in both technology and cost. Our goal is to ensure our customer’s satisfaction as this is one the most important factors in our business ideals. 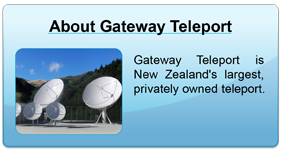 Gateway Teleport Ltd. is a privately owned enterprise and New Zealand owned and operated. Our “can do” ethic is already appreciated by our customers such as Speedcast Ltd. and Optus Satellite Networks. Copyright © 2019 Gateway Teleport Ltd. All rights reserved.